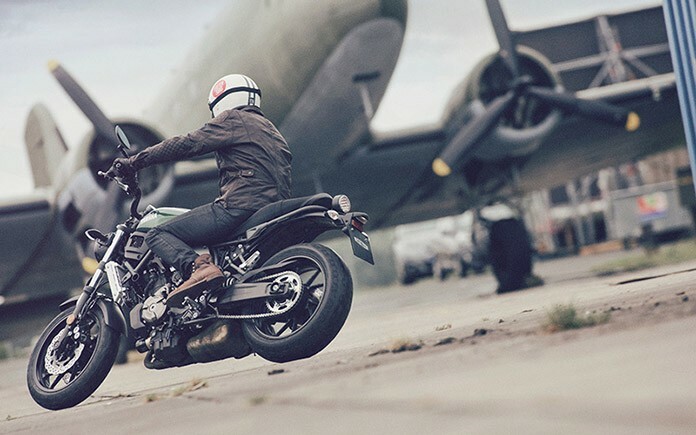 Yamaha’s Sport Heritage bike building philosophy continues to move forward and evolve. 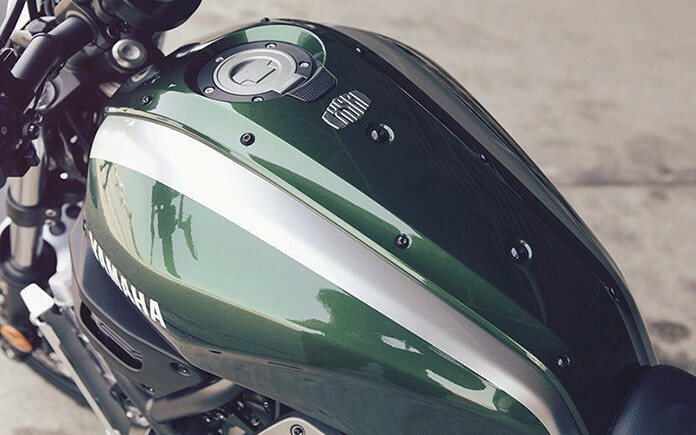 Sharing its strong belief in respecting the iconic styles and designs of Yamaha motorcycles of the past, whilst intending to push the boundaries of motorcycle technology to create amazing bikes with real character that never compromise on riding ability. Yamaha called this new philosophy ‘Faster Sons’, a name that tips its hat in respect to the bikes that came before, whilst also showing pride in the faster sons of today and tomorrow, because above all, we love to ride. 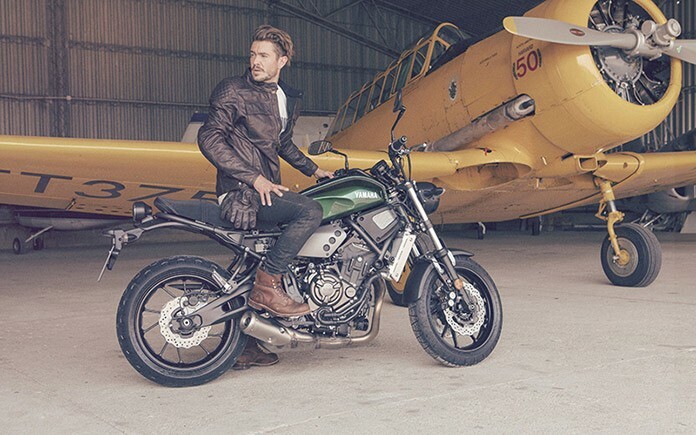 The XSR700 is a feast for the senses; its style is enhanced with a number of high quality parts to complete its look. Riders can enjoy an authentic retro feeling with the two-texture leather seat unit sitting on an easily customizable bolt on rear sub-frame. An old school style headlight and fastening stay sets it off at the front, and an aluminium tank unit reminds the rider they’re sitting on a Faster Sons machine. 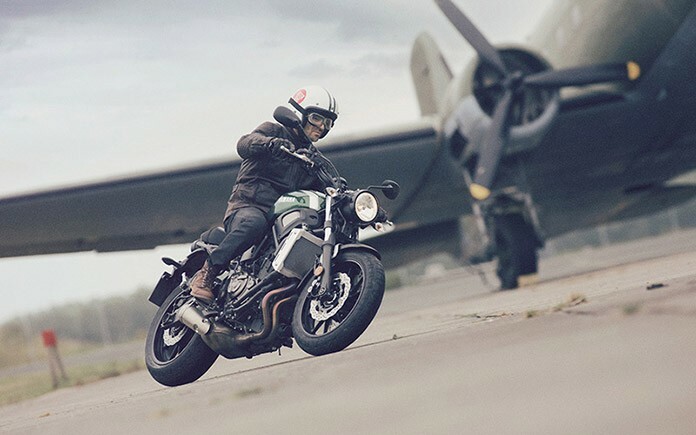 With a wet weight of just 186kg the XSR700 is the first of its kind, a modern day entry-level icon to style up the riding life of both new and experienced riders. 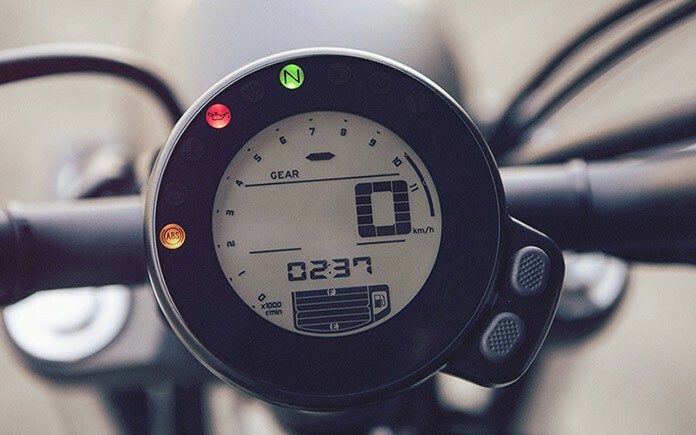 A period style speedometer sits between the wide tapered back handlebars, which offer a casual & upright riding position for its rider and a trick mesh cover on the side keeps all the high tech electronics under wraps. Use of quality metal materials such as aluminium on several components, including the front fender stay and radiator cover also work to complement the overall retro feel. 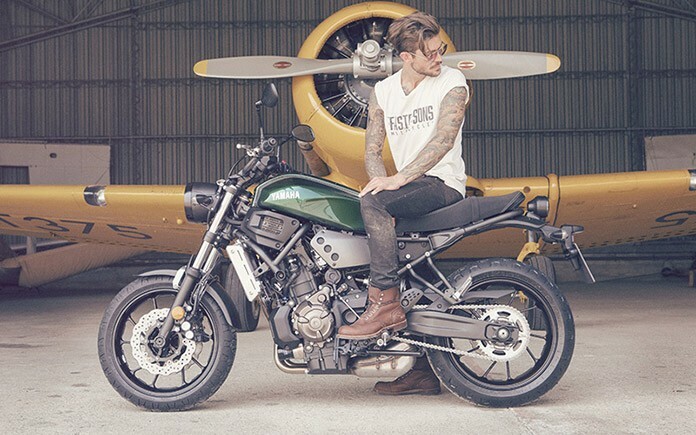 A short stubby rear muffler provides the right soundtrack and Pirelli Phantom tyres front and rear not only look the part with an authentic pattern, but also do the job to keep the rider connected to the road. 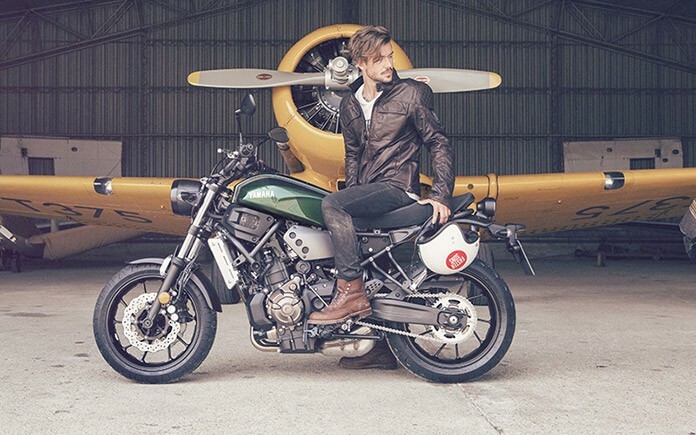 It’s not just in looks where the XSR700 delivers; the beating heart of the machine is Yamaha’s class leading 700cc inline 2-cylinder engine. 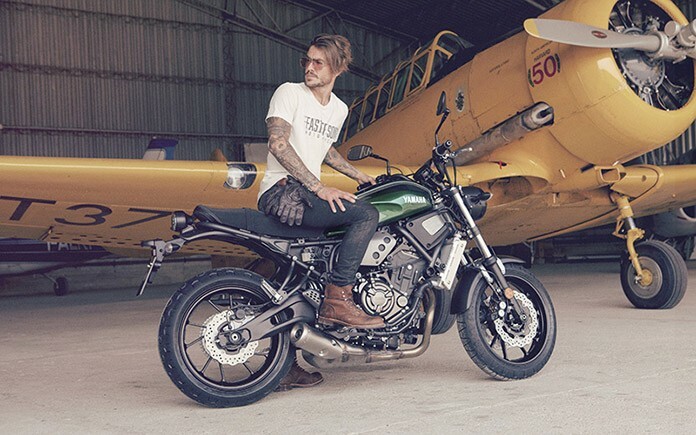 Having powered several of Yamaha’s latest class leading motorcycles to huge success across Europe, the 700cc power plant was a natural choice for the XSR700. Built on the special ‘crossplane philosophy’ the perky motor kicks out a linear, deep torque for not just outstanding acceleration, but smiles in every gear. The uneven firing interval and 270-degree crank ensures a strong sensation of acceleration and outstanding traction, while maintaining continuous smooth & exciting power delivery till high rpm. 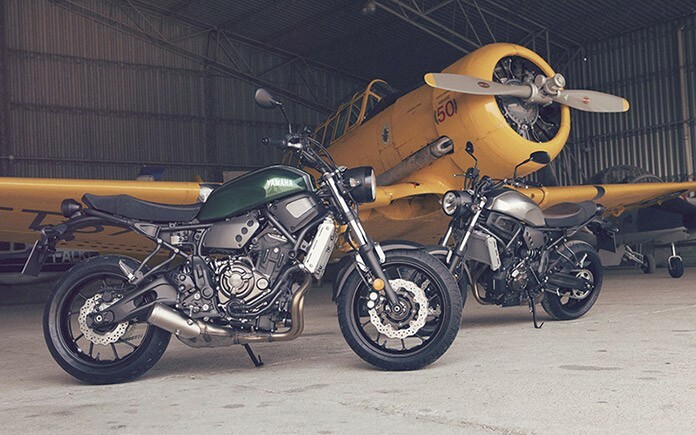 This combination of engine and chassis ensures the XSR700 is not just the perfect ride for new motorcyclists but also a massive dose of fun for more experienced riders. The rear suspension is a clever link-type Monocross system featuring a horizontal shock mounted directly to the engine’s crankcase, not only saving space to keep a clean look at the rear but also improving chassis performance. 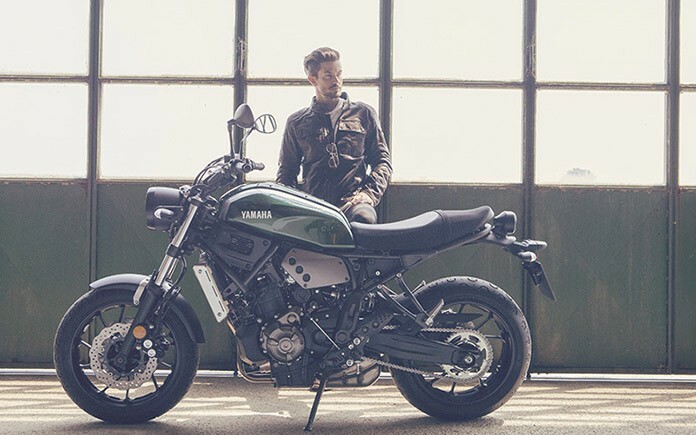 Giving riders the opportunity to express their individual personal touch on the bike is one of the most important values for Yamaha’s Sport Heritage range motorcycles. The XSR700 follows this vision to offer maximum personalization possibilities for every rider, so very wide range of XSR700 accessories are available from the genuine options catalogue. This ensures owners can take the look of their ride even further and take advantage of the easily customizable nature of the bike to personalize their machines. In addition, several globally famous professional custom builders who fell in love with XSR700 concept have been already tasked to work on producing “Yard Built” custom bolt on parts, which will be introduced later this year.